Sorry for the quietness on the blog lately. I’ve been really busy with the usual house and kid stuff. One thing for sure is, if you’ve got kids, you’ve been asked to bake something for a bake sale at school or for extracurricular fundraisers numerous times. 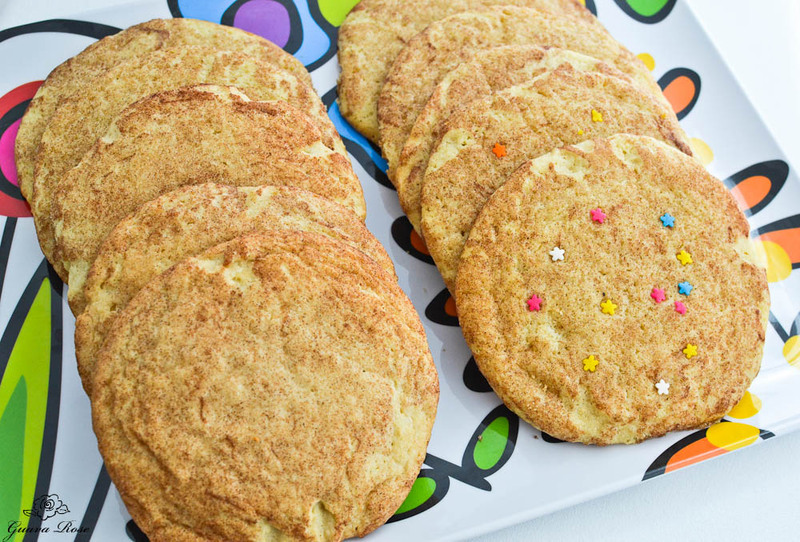 Here’s a pretty easy one–giant snickerdoodles. Simple. Not necessarily the quickest, as you do need to refrigerate the dough, but their size is impressive! I am fond of using parchment lined baking sheets, as the baked cookies lift easily off the paper and have less of a tendency to burn. You could also just grease the pans, but I feel the cookies burn easier. If the cookies spread out too much when they bake, don’t press the dough down so much. Make way, Giant Cookies coming this way! Whisk together flour, cream of tartar, baking soda, and salt in a large mixing bowl. Set aside. In a standing mixer bowl, cream the butter and sugar together on medium speed. Add the eggs, one at a time, then the vanilla. Stop the mixer, add the flour mixture, one third at a time, blending on low then increasing to medium as the flour incorporates in. Chill the dough for 2 or more hours (do not skip this step). Preheat oven. Line large baking sheets with parchment paper. Stir topping ingredients together in a small bowl. Use a ⅓ c. ice cream scoop to portion the dough. Place 6 evenly spaced scoops onto each lined baking sheet. 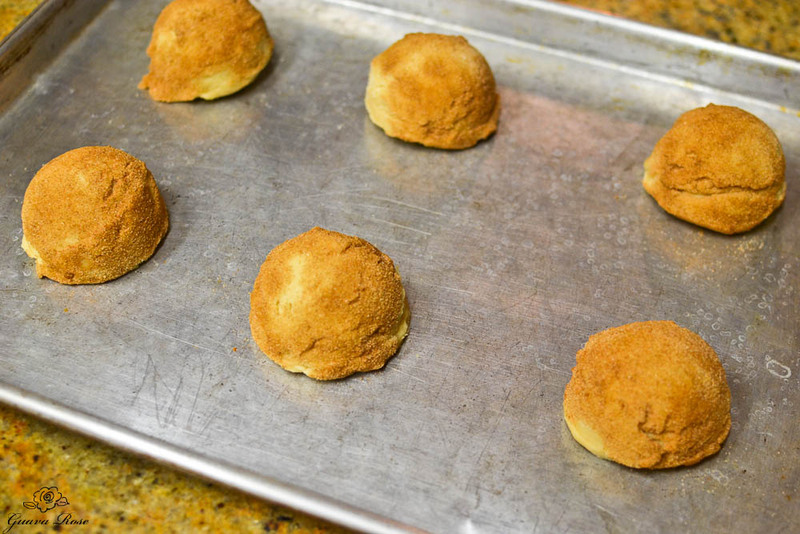 Roll the top and sides of each dough ball into the cinnamon-sugar mixture and place back onto the baking sheet. Use the flat of your palm to press each dough ball down to about ¾" thickness. 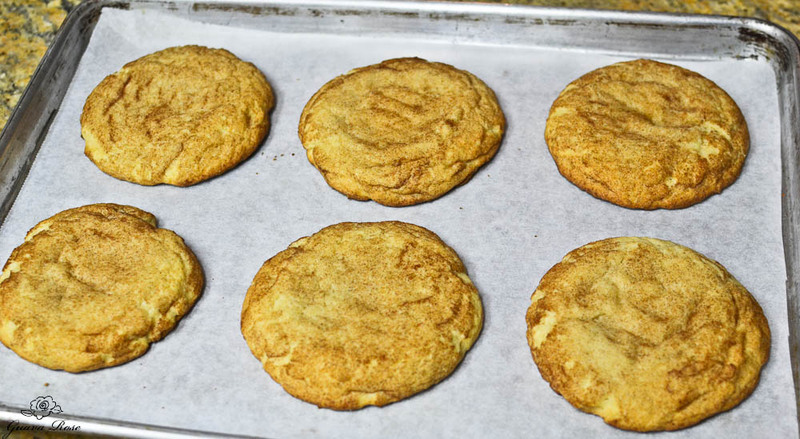 Remove from oven and let cookies sit on baking sheets for one minute before lifting each cookie off the parchment paper and onto cooling racks. 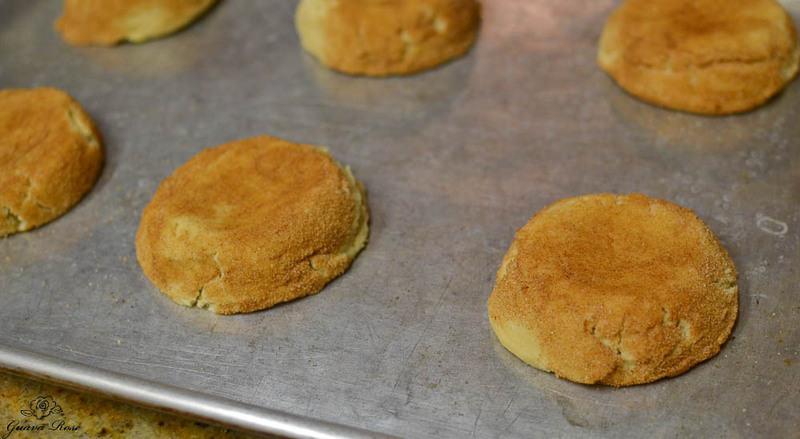 Notes: 1) If you have time, I recommend baking one sheet at a time, as you will get more consistent results; 2) If the cookies spread out too much when they bake, don't press the dough down so much; 3) If you want smaller, regular sized cookies, use a 2T. scoop and bake at 400 degrees F for 8-10 minutes. 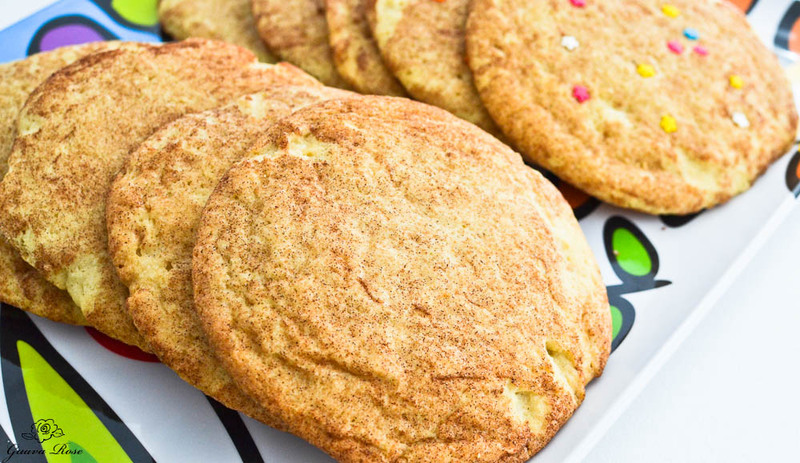 This will give you approximately 5 dozen cookies.